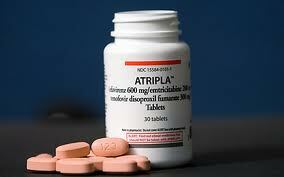 On January 13, 2014, the Canada Federal Court dismissed an application by Bristol-Myers Squibb, Gilead Sciences, LLC and Merck Sharp & Dohme Corp. under the Patented Medicines (Notice of Compliance) Regulations for an order prohibiting the Minister of Health from issuing a Notice of Compliance for Teva’s generic version of its Atripla® tablets (2014 FC 30). 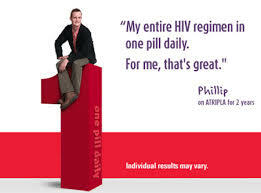 Atripla® tablets are a combination of three anti-retroviral medicines that is used to treat HIV/AIDS. The three active ingredients are efavirenz, emtricitabine and tenofovir disoproxil fumarate. Merck et al. sought an order prohibiting the Minister from issuing a Notice of Compliance to Teva until after the expiry of Canadian Patent No. 2,279,198 on February 2, 2018. The 198 Patent disclosed and claimed novel processes for making a particular crystalline polymorphic form of efavirenz called “Form I”. However, the only claims at issue were those that claimed Form I per se. For Teva to infringe the patent, the patent has to be valid and Teva’s actions have to infringe. Teva alleged that claims 1 to 3 of the Patent were invalid on several grounds, including obviousness, double patenting, claims broader than the invention made or disclosed, lack of utility and anticipation. With respect to non-infringement, the central issue was whether the crystalline form of efavirenz in the Teva tablets (“Form Teva”) would convert to the claimed Form I during or after the manufacturing process. As a preliminary point, Merck argued that an adverse inference ought to be drawn for Teva’s refusal to produce samples of its final tablets. No adverse inference was warranted, however, since Form Teva could be made from a publicly available process and Teva had provided details of its manufacturing process. With this information, Merck was able to perform experiments in an attempt to establish that Teva’s tablets contained Form I efavirenz. Merck’s conversion experiments on Form Teva included grinding with a mortar and pestle, heating, and combined grinding and heating in an attempt to demonstrate conversion to Form I. Justice Barnes found that the experiments were irrelevant because they were not representative of the Teva manufacturing process. Specifically, Merck’s expert did not grind the ingredients in a manner analogous to Teva’s manufacturing process. In the grinding experiments, the expert was unaware of the size of the samples that were ground, did not record the grinding pressure applied, and could not recall if he was present for the grinding. As a result, the Court was unable to conclude that the energy applied during Merck’s grinding studies accurately approximated the forces applied during Teva’s manufacturing process. Accordingly, the court found that Merck failed to meet its burden of proving that the Teva tablets will contain Form I efavirenz and the application was dismissed. The Court declined to rule on Teva’s invalidity allegations, instead basing its judgment solely on Teva’s justified allegations of non-infringement. In this respect, Justice Barnes noted that voluminous evidentiary record, the relatively short period of time remaining in the 24-month automatic stay period, and his finding with respect to non-infringement made it “unnecessary and probably unwise to attempt to resolve the validity issues.” Nonetheless, Justice Barnes did observe that Teva presented a stronger obviousness case than was previously before him in the Mylan case which dealt with the same patent (2012 FC 1142). ‹ How much is a patent worth?